Our love affair with coffee can take many forms. 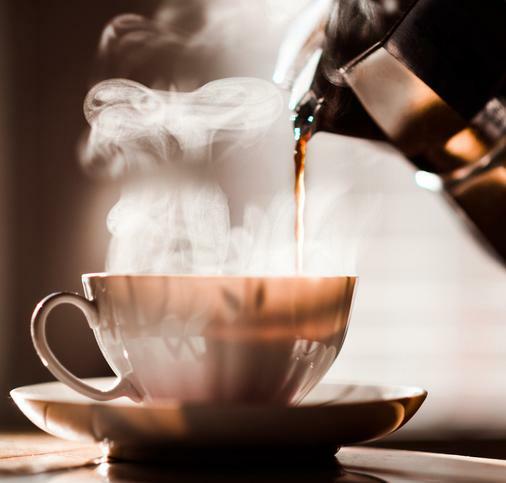 Check out some of our favorite recipes using coffee and products to go with it. Coffee is what gets us up in the morning and what keeps us going. It is an infusion of aroma and flavor that we crave. We become passionate about our favorite brand, blend, and grind. 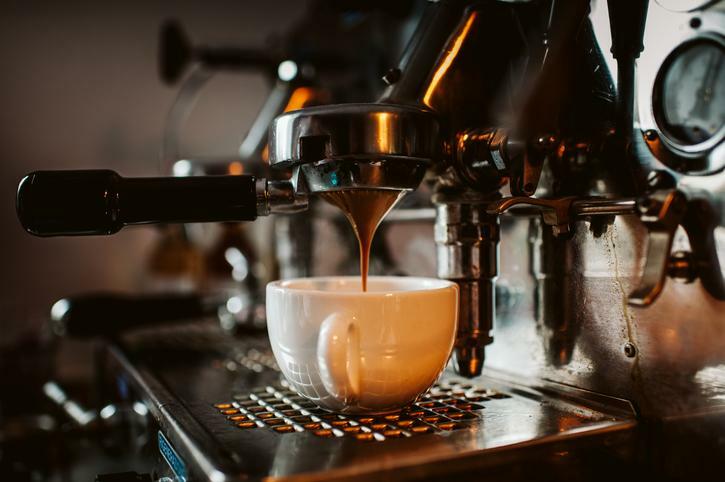 Whatever our setup, coffee has our attention and we are dedicated to the art of drinking our cuppa Joe. At Piedmont Grocery we are lucky to have some amazing purveyors of coffee represented on our shelves. Some of our favorites are locally produced such as: Helio Roast of SF, a solar-roasted artisan coffee brewed in small batches with renewable electricity. Their Ethopia Yirga Cheffe is optimized for brewing expresso. And we love our Philz, a San Francisco institution and a leading local member of coffee’s third wave. It’s artisanal, extra special, and wonderfully delicious. Try their Ambrosia Coffee of God. There is always RoastCo. made right here in Oakland. 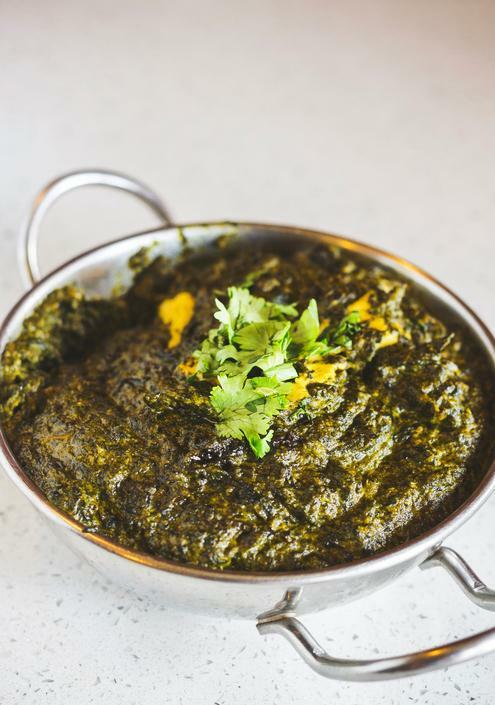 We recommend their West Oakland Blend (see the post below). And, if you are a lover of Italian Coffee, you can't go wrong with Illy Coffee. Illy’s Arabica coffee is flawlessly consistent. Its understated elegance is better than any commercially-roasted coffee we have tried. We love their Medium Roast. Have you tried Burroughs Family Farms organic whole milk? It's the real deal. This 5th generation California farming family uses sustainable practices to grow and harvest certified organic milk products. It's fresh-tasting and makes a perfect cappuccino. If you are looking for something non-diary, our staff pick is Califa Farms. Their Barrista's Blend foams up like real milk, and their Better Half creamer stands up to strong coffee. Plus the flavors of almond milk and coconut cream blend well in your cup. We have it in unsweetened, original, and vanilla. One of the pleasures of a coffee break is something delicious to go alongside. 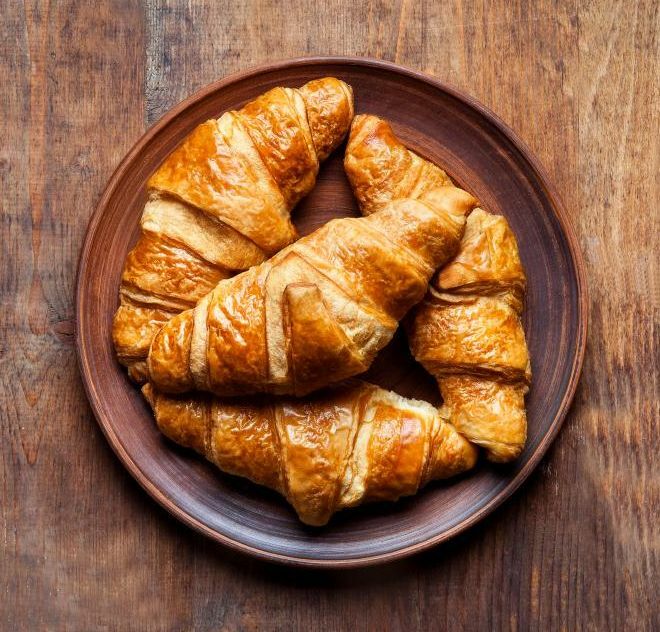 Some of our favorite treats include Boulangerie Soglignac Rise and Bake Handmade Butter Croissants because nothing rivals fresh out-of-the oven croissants. 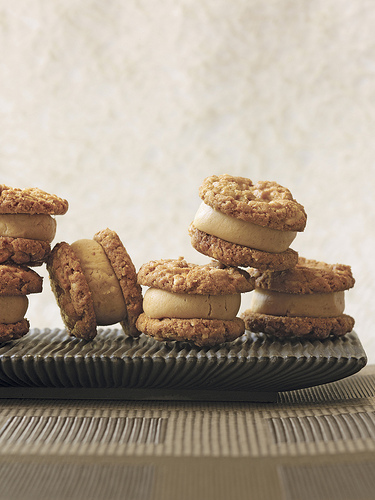 If you are looking for something sweet, shortbread is a great choice. Rustic Cookies Pecan Shortbread Cookies and Kelly's Kookies in Lemon Shortbread or Macadamia Shortbread are two perennial favorites. For something cakey try A Taste of Denmark's Almond Wreath or Tortabella's 4-inch Mocha Cake. Our favorite sweetener is La Perruche Pure Cane Brown Sugar Cubes. They add just the right amount of sweetness with a subtle complexity of flavor. And, speaking of flavor, you can also try sweetening your coffee with Le Sirop De Monin's Vanilla Syrup. 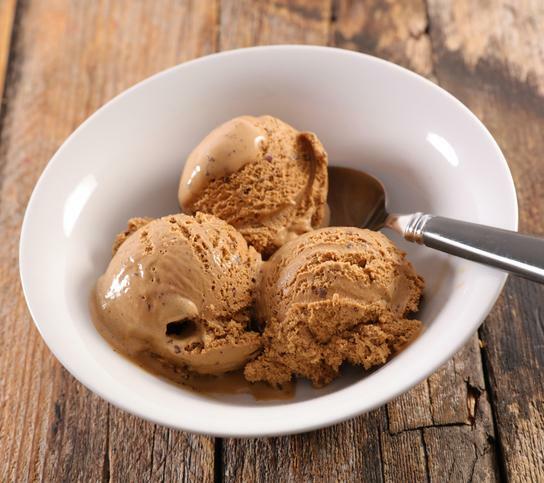 It is derived from real Madagascar vanilla beans and dissolves well in iced coffees. 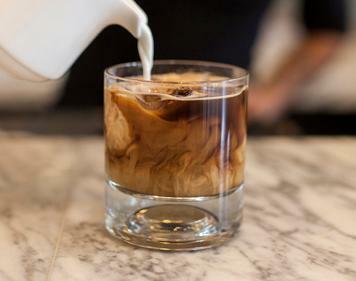 If you are looking for something a little stronger, a splash of Kahlúa Rum & Coffee Liqueur is delicious. We also love adding Bailey's Irish Cream. For either, do one part Kalúah or Bailey's to two parts coffee. They are delicious in iced drinks, too! RoastCo's expertly-roasted beans are perfected in small batches using a vintage PROBAT, a German-made roaster from the 1960s. Their roast method emphasizes the full development of deep source flavor, and you can expect to taste a clear expression of nuanced acidity balanced with the weight of coffee’s natural sweetness. 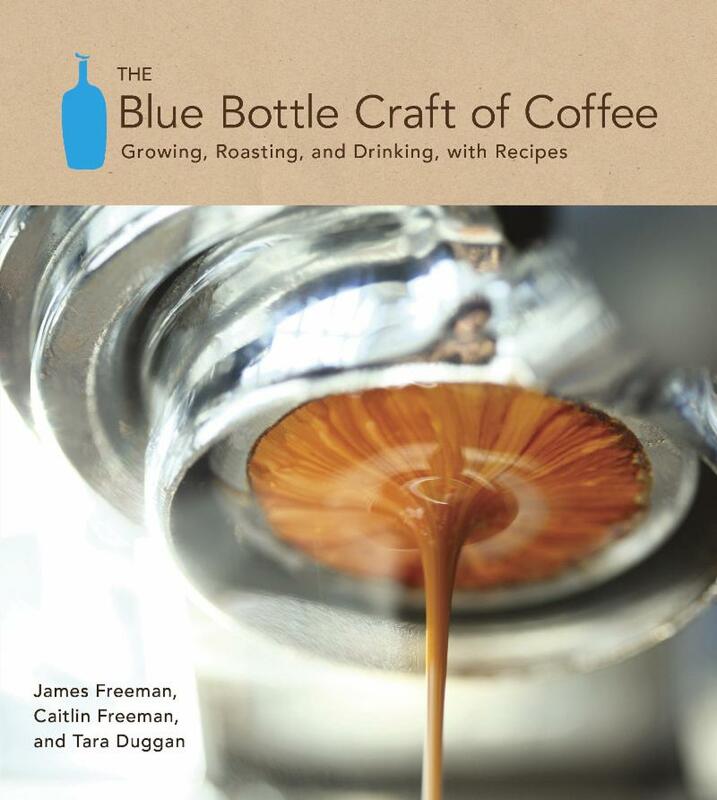 The Blue Bottle Craft of Coffee explains this new world from farm to cup, exploring the bounty of beans available and the intricate steps that go into sourcing raw coffee from around the globe. 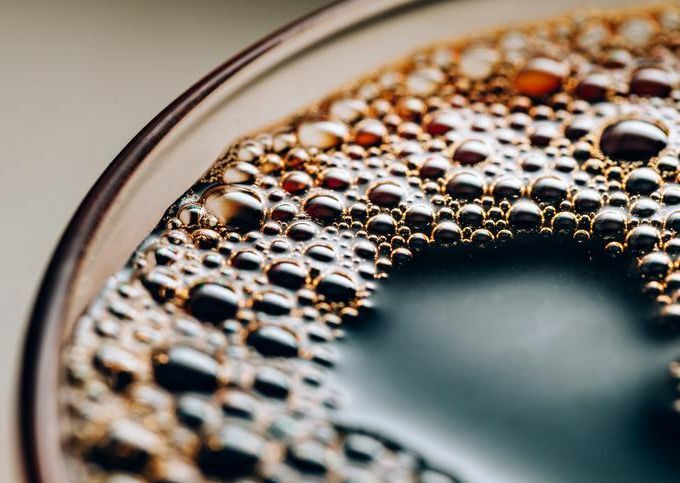 Blue Bottle founder James Freeman coaches you through brewing the perfect cup of coffee, using methods as diverse as French press, nel drip, siphon, and more to produce the best flavor. For coffee lovers who want to roll up their sleeves and go deeper, Freeman explains step by step how to roast beans at home using standard kitchen tools—just like he did when starting out. The Blue Bottle Craft of Coffee also introduces a home technique for cupping, the industry method of tasting coffees for quality control, so you can hone your taste and share your meticulously roasted coffee with friends. Rounding out the book are more than thirty inventive recipes from Blue Bottle pastry chef and former Miette bakery owner Caitlin Freeman that incorporate coffee or just taste particularly good with coffee. With more than one hundred stunning photographs showing coffee’s journey from just-harvested cherry to perfect drink, this distinctive and deep guide to the new breed of amazing coffees from one of the top artisan coffee makers will change the way you think about—and drink—coffee. When I started to bake, I was pleasantly surprised that coffee was a common ingredient in any sort of chocolate cake, cupcake, or cookie. Turns out, coffee enhances the flavor of the chocolate in many desserts without making the result actually taste of coffee. 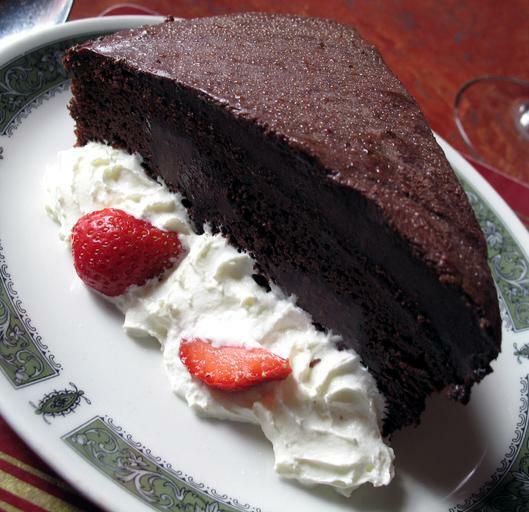 Using coffee gives the chocolate a dark, fudgy richness. Because it’s pretty rich, this cake is best served topped with fresh whipped cream and some sliced strawberries or a light dusting of powdered sugar. The more decadent among us might go for some cream cheese frosting . Daylight Saving Time pulls a trick on us. It's like everyone around us, including ourselves, is jet-lagged by an hour. 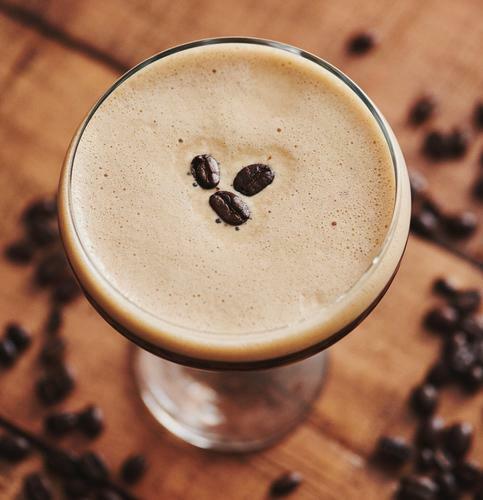 This coffee-infused martini might not remedy the problem, but it could give you the boost you need to get through the weekend. 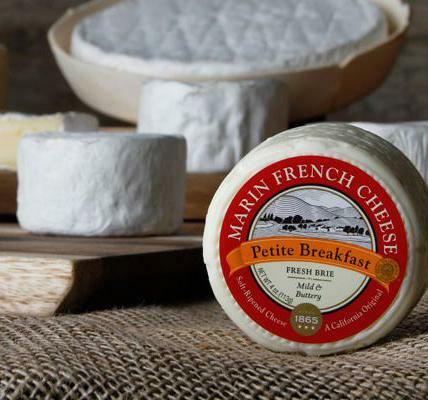 Marin French Cheese Company's Petite Breakfast is a fresh and tangy cheese with a mild flavor and slightly spongy texture that is reminiscent of creamy cheese curds. Because of this, it is delicious on a crusty baguette for breakfast or any time of the day. It is also delicious in salads and in hot dishes. 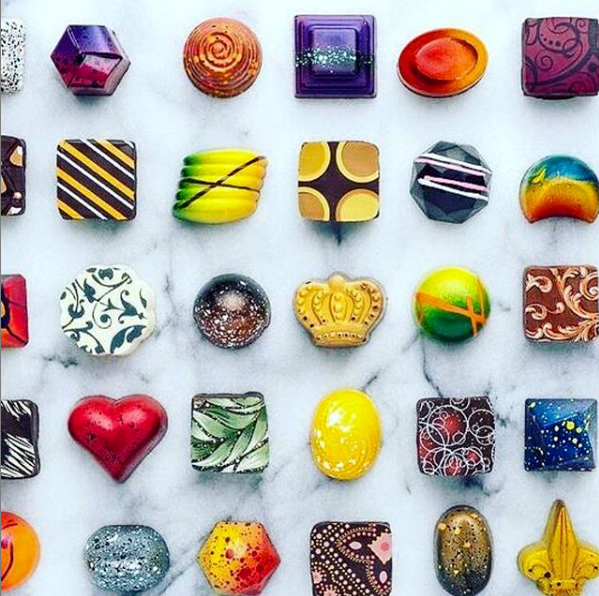 The San Francisco International Chocolate Salon is taking place this Saturday in Golden Gate Park. And, you don't want to miss this delicious day of fine, artesan chocolate! Chocolate aficionados, fanatics, lovers, and addicts can taste & experience the finest in artisan, gourmet& premium chocolate in one of the world’s great culinary metropolitan areas. Presentations by master chocolatiers such as Michael Brenner of Michael's Chocolates and Art Pollard of Amano Artisan Chocolate. KonaRed makes some of our favorite, flavored cold-brew coffee. They pack just the right balance of flavor and sweetness—never overwhelming. And, the quality of the coffee is superb. 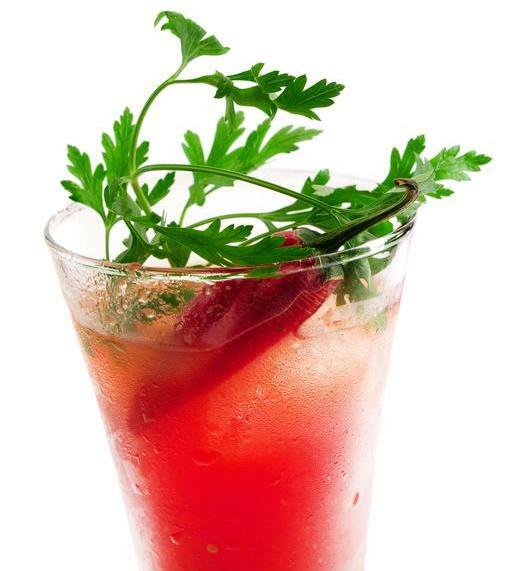 It's delicious with a little creamer over ice and makes great cocktails. The only USA grown coffee comes from Hawaii. Coffee farms located in Kona on the Big Island of Hawaii generate some of the most sought after coffee beans in the world. 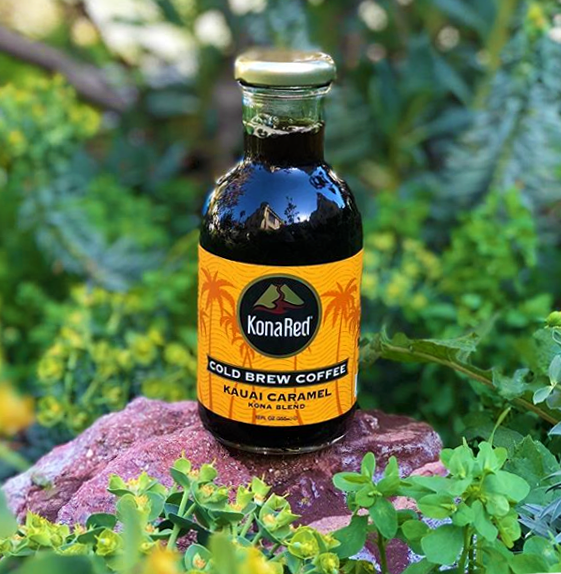 KonaRed's unique process involves blending coffee beans with Nature’s Best Kept Secret, nutrient-dense Hawaiian Coffee Fruit! Their cold brew coffee is created by steeping roasted and ground coffee beans in cold water for up to 16 hours. I’ve sorta been into cakes lately. I made the chocolate Bundt cake from last week for a friend that was in town and joined us for dinner on Saturday. Surprisingly, there were leftovers which meant I had a piece with coffee for breakfast the next morning. (I know, my devotion to health knows no bounds.) It was glorious. 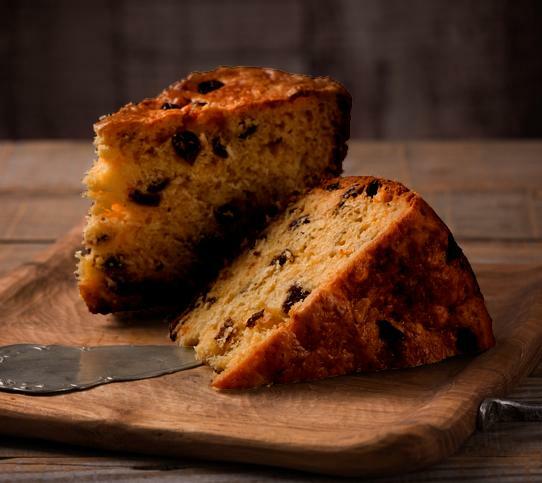 So it should come as no surprise that while searching for something a wee bit Irish for this week, I found myself thumbing through Irish cake recipes. When you think of Irish sweets, the first thing that comes to most people’s mind is scones or shortbread. Well, at least that’s what I think of. (I blame it on the Irish butter. Can’t get enough of it.) While making some scones this Sunday morning for St. Patrick’s Day would be fantastic idea, (I mean do you really need it to be a special occasion for scones to be a good idea? Or shortbread for that matter?) I will be on the road before the sun is up to attend yet another sporting event which means breakfast needs to be portable. So cake for breakfast it is! Again. Any excuse, right? This Porter cake is an Irish classic and goes well with any meal of the day. If there was ever a utilitarian fish it would be snapper. This delicately flavored fish is relatively inexpensive and pairs well with virtually any cuisine you find. It is low in fat and its mild flavor is more appealing than stronger-tasting fish. Snapper is found worldwide in tropical and semitropical water and for that reason, buying and ordering snapper can be a little more complicated. The name snapper refers to any fish in the family Lutjanidae of which there are approximately 113 species—all with their own variations. The most well-known of these is the red snapper, lutjanus campechanus. Because it is the most well-known, the name red snapper has been used to sell any fish that can be considered a snapper. If you ask the FDA though, the only snapper that can be sold as red snapper is lutjanus campechanus. So with all the name games, how do you know what is what? We’ve listed two of the most popular varieties of snapper readily available to us in the Bay Area to try to make your decision a little easier. Comes from the Gulf of Mexico and the Western Atlantic. They can grow to be as large as 40 pounds but most weigh around 2-3 pounds whole. It is easy to differentiate from other snappers because it’s profile is more rounded and less streamlined. Its flesh has a consistent pink coloration throughout the fish. Like all fish in the snapper family, red snapper is best prepared whole or filleted, grilled, pan-fried or steamed. This snapper is found in the Eastern Pacific off the coast of Mexico and Baja California. It looks, tastes and cooks very similar to red snapper but with a slightly more elongated body. The best preparation for this fish is the same as true red snapper: whole or filleted, grilled, pan-fried, or steamed. A lot of the fish sold on the West Coast is incorrectly labeled as red snapper or Pacific red snapper when it is, in fact, rockfish. 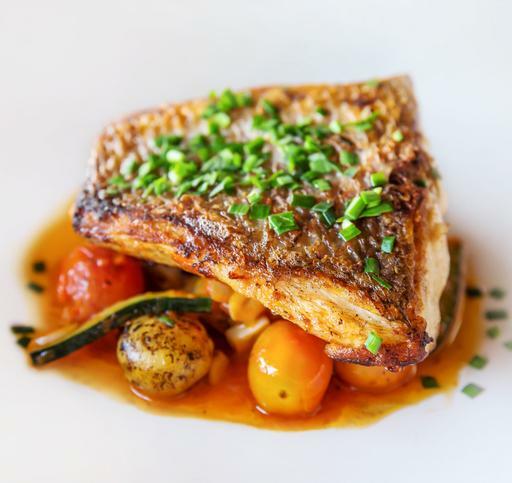 While still very tasty, rockfish is a totally different type of fish. When buying your snapper, make sure to ask your butcher or fishmonger if it is a true snapper. At Piedmont Grocery, we only sell the Pacific Red Snapper. When we “sprang forward” a week or so ago I celebrated by cleaning my grill because nothing says bring on the sunny weather like a nicely grilled steak. It is hard to nicely grill a steak though when your grill is full of gunk. So I got to scrubbing and I replaced a few burned out shields and I was ready to rock and roll. Spring tends to be the busiest time of the year for my household so having the ability to throw something on the grill for a legit but wicked fast dinner is essential. So far I have thrown salmon, chicken and pork chops on the grill and life has been less stressful and more tasty. It has also been more tiring if only because we “lost an hour”. Seriously, I still feel like I haven’t caught up yet. I have been drinking more of my daily allotted coffee just to get through. So in a fit of genius one afternoon when I was trying to decide what to have for dinner, I remembered a dry rub with the very two things that are making my world work right now: grilled meat and coffee. If I had to pick a cut of steak that was my go-to for grilling, especially mid-week, it would be a hanger steak. Relatively inexpensive, a hanger steak has a nice beefy flavor that is not too dry and it cooks quickly. 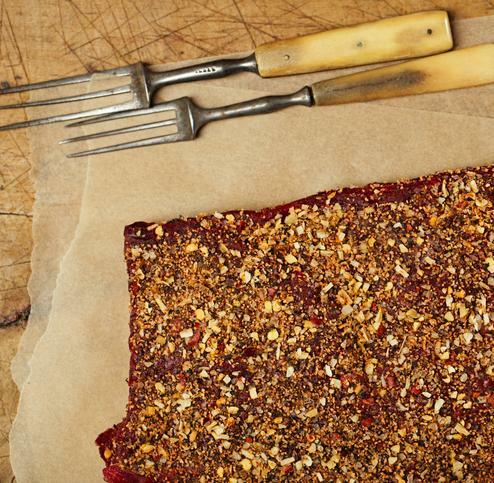 The big beef flavor means it can stand up to some potent dry rubs including one of my favorites that uses coffee. (See what I did there?) Coffee is not a new ingredient in BBQ. Pitmasters have been using it in the rubs or mops for a long time but it’s still not something you see all that often. 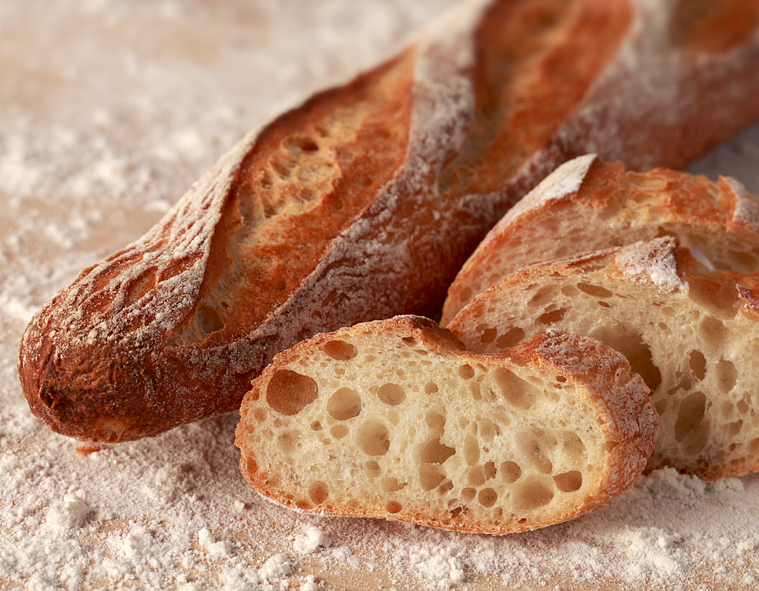 Their bread is just flour, water, salt, and yeast…so, how can it taste so good? Semifreddi’s mission sums up why we love them: Make the best baked bread and pastries in the universe, offer them at a fair and reasonable price, provide superior customer service, treat our employees like family and give back to the community.Plus they are East Bay local.